Forgot iPad Passcode? Here are the Solutions! How Many Kinds of Passcode Are There? There are two kinds of passcode in iPad. The one is the password of your Apple ID that you use to purchase apps, movies, music, etc. on your iPad, and the other is used for locking the iPad when it’s in sleep mode. It usually contains four or six digits. If you forgot iPad passcode, it would be really troublesome. What If You Forgot iPad Passcode? iMyFone LockWiper is a professional iDevice passcode removing tool that you can use to gain control of your device again in case you forgot iPad passcode. LockWiper is compatible with all iDevices and can remove screen lock of any iDevice without passcode. The software is helpful if you want to remove Face ID or Touch ID lock from your device. 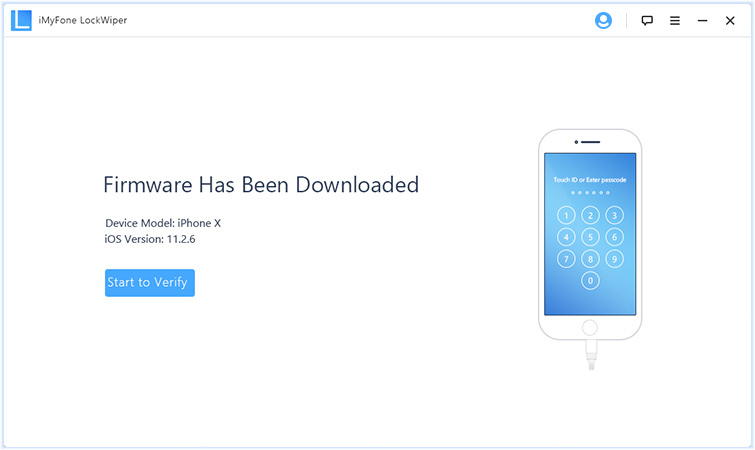 What LockWiper basically does is that it finds the compatible firmware of the connected iDevice and then installs it so that the passcode is removed. The entire process is automatic so you don’t have to do much. The length of the process depends on the speed of your internet connection. Unlock any iPhone/iPad within just a few minutes. LockWiper can remove the usual 4-6-digit passcode as well as the complex Face ID and Touch ID lock efficiently. The software supports broken screen, locked, and disabled iPhone/iPad. Fully compatible with all the latest devices including iPhone 8/8 Plus and iPhone X. The process to unlock an iDevice with LockWiper contains three simple steps and it’s not very lengthy. Step 1: Launch LockWiper on your computer. Step 2: Connect your iPad to your PC via compatible USB cable. Step 3: Now put your iPad in DFU/Recovery Mode. To do this, choose your iPad model on the software and then follow the on-screen instructions. Step 4: Once your iPad is in Recovery Mode, start the firmware download via the Download button. 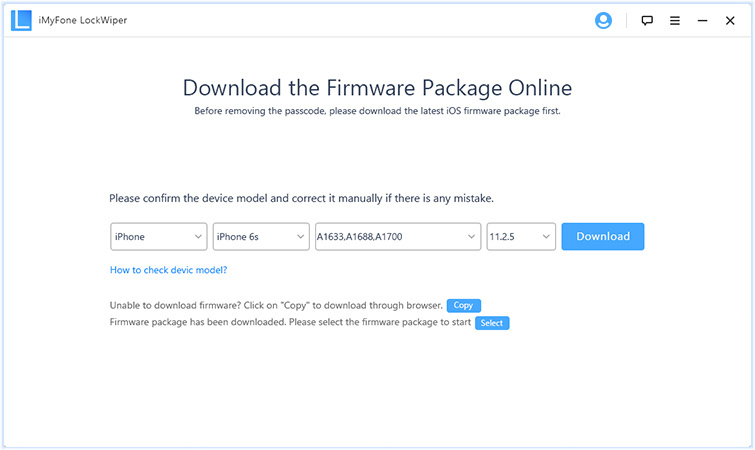 Step 5: After the firmware package is successfully downloaded, verify it by clicking on the ‘Start to Verify’ button. 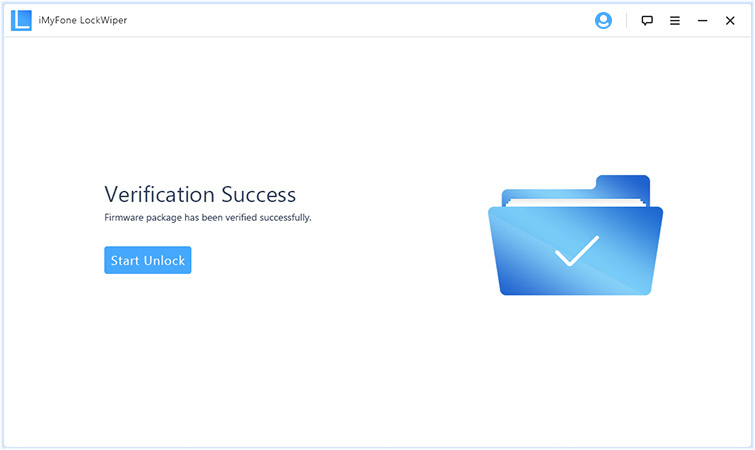 Step 6: After verification, click on ‘Start Unlock’ to start the unlocking process. Step 7: Confirm your action by entering ‘000000’ and then clicking ‘Unlock’. The unlocking process will begin. 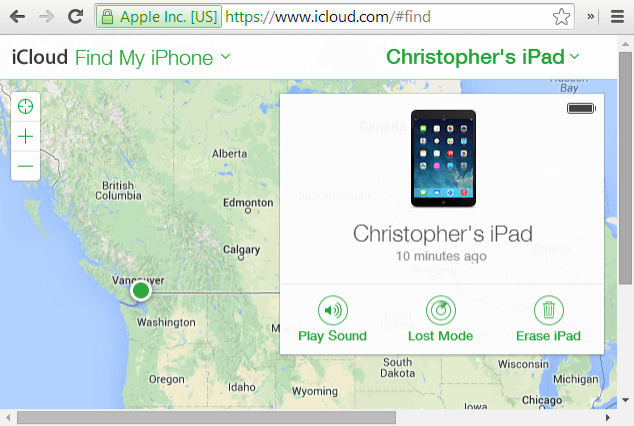 You can resolve forgot iPad passcode issue by using iCloud. This method will only work if you know the Apple ID and password that are linked with your iPad. Step 1: Visit icloud.com on a web browser and log-in using the same credentials that are linked to your iPad. Step 2: Then click on ‘All Devices’ option and then select your iPad. Step 3: Now click the Erase button. Step 4: Confirm your action and then wait for the remote reset process to finish. 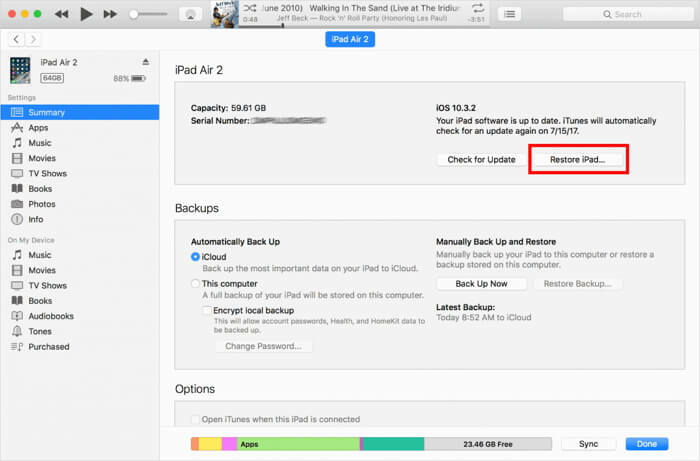 Once it is completed, your iPad will be restarted without any lock screen. Similar to iCloud, you can also reset your iPad to fix forgot iPad passcode via iTunes and it will unlock your device and remove the lock screen. The process to do this is pretty straightforward. Step 1: Launch iTunes on your computer and connect your iPad to your computer via USB or lightning cable. Step 2: On iTunes, go to your iPad’s Summary page. There, you will see several options. Step 3: Find and click on ‘Restore iPad’ button. Then confirm your action. The restore process will begin. Wait for it to finish and then unplug the device once the process is completed. Using Recovery Mode of your iPad to solve forgot iPad passcode and reset the device is a relatively complex process but it is worth it, particularly when other methods aren’t working. 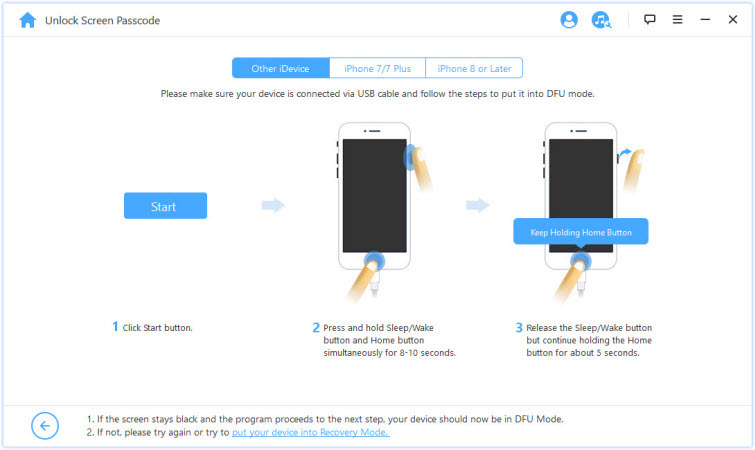 Step 1: Turn off your iPad and put it in Recovery Mode. To do this, press the Power and Home button of your iPad and hold them until your see the Apple logo on the screen. Now release the Power button but keep holding the Home button. The Recovery Mode will open. Step 2: Connect your iPad to your computer via USB cable and launch iTunes. Step 3: Restore the iPad in iTunes by following the on-screen instructions. There are 4 primary ways to solve the issue if you forgot iPad passcode. 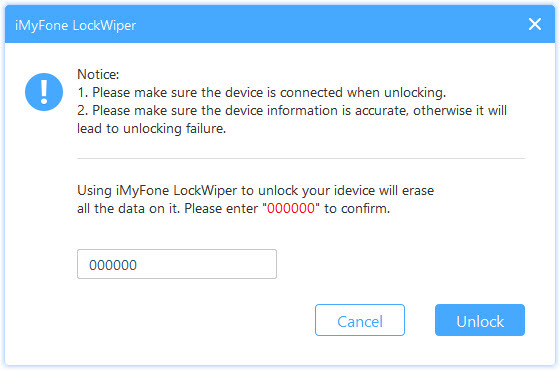 The first method is iMyFone LockWiper. It is an automatic method of solving the problem as all you will need to do is put your iPad in recovery mode and follow the on-screen instructions and LockWiper will do the rest. Using iCloud is also an effective method but it will only work if you know the Apple ID and password linked with your iPad. You can also solve the problem via iTunes and Recovery Mode, but these methods take relatively more time. So, the best way to resolve the issue is to use LockWiper as it will save you both time and effort.